If you’re visiting this page, you more than likely have an athletic goal in mind. You’re either training for an event/sport currently or you desire to train for one in the future. 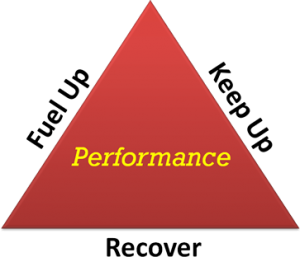 And the quality of your training will be directly tied to the performance result. There are no shortcuts to peak performance. I’ve spent the better part of my life as a competitive athlete and working with competitive athletes. The difference between athletes and those who strive for better health & wellness, is athletes have a specific goal attached. Training isn’t done for the sake of it; it is done for improved performance. One needs to lead to the other for it to be worthwhile. Of these things, developing the roadmap is by far the most difficult part. For example, it’s easy to say “I want to run a 3:40:00 marathon” and it’s easy to assess where you are now with your previous marathon times (say 4:00:00). But most people get lost on how they’re going to get from 4:00:00 to 3:40:00. It takes a specific plan or time is lost, frustration mounts, and goals aren’t achieved. If you’re interested in unlocking your potential as an athlete and taking your performance to another level, check out 2B | Brain * Body. The company’s innovative training methods maximize performance via the Brain-Body interaction and unlock your potential as an athlete. It’s your competitive advantage. 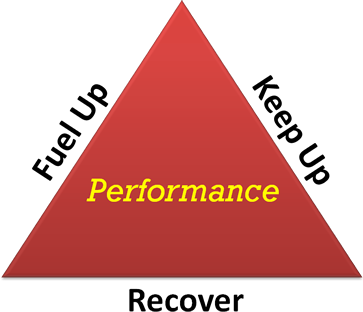 If you’re a coach, trainer or athlete and you’re interested in custom nutrition and hydration strategies, check out Fuel Up * Keep Up * Recover. Its the only way to know whether you’re giving your body the fuel it needs to perform, maintain its stamina during training and competition, and optimally recover afterwards. Please complete the questionnaire below if you would like to be contacted to learn more about how this program can help you gain a competitive advantage and explode your performance to another level.